Apple’s Chicago education event replay is now available for replay on the Apple Events app for Apple TV. Apple did not live stream the event, but the full video is now available. The event took place at Lane Technical College Prep High School in Chicago, Illinois. The event replay link hasn’t hit Apple’s website, iTunes or YouTube yet, but those viewers using Safari, click here to view the event in its entirety (via @_inside). 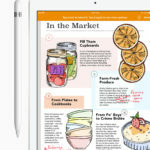 Apple announced its new 9.7-inch iPad with Apple Pencil support, along with a new Schoolwork app and a new Everyone Can Create curriculum. Update: Apple has updated their Events website with the special event.